Reiki comes from two Japanese words which translate to "universal life force." This universal life force is an energy found within all things—people, animals, plants, rocks, trees… even the earth itself. Someone trained in the use of Reiki channels that life force, allowing the recipient to receive the healing energy. This healing modality came to us from Japan, but Western medicine is finally beginning to recognize its benefits. Major medical centers, including the hospital at Ohio State University, are now discovering the value of integrative healing—in other words, traditional Eastern healing methods are used to complement modern medicine. Part of Reiki treatment includes the use of sacred symbols. In some traditions, these are kept secret from anyone who is not initiated into the system. In other paths, some symbols have been made public by way of books and the Internet. In addition to the symbols, however, a Reiki practitioner may call upon spirit guides, ascended masters, or angels, depending on their spiritual path. Reiki in itself is not a religion, and people from many different faiths practice it. In Reiki, healing takes place on an emotional, spiritual, and physical level. The practitioner focuses on the recipient's chakra systems. Sometimes these imbalances are due to physical ailments—a headache, a stomach virus, etc. Other times, it may be related to some sort of emotional or spiritual issue that the person hasn’t resolved yet—relationship issues, problems at work, anger at a parent or spouse. By transferring Reiki energy into the recipient, the practitioner can help the individual heal through whichever issues are at hand. Most people who wish to become practitioners of Reiki attend classes. Although a lot can be learned from books, there is much to be said for the hands-on approach of in-person instruction. Not only that, there are "attunements", which are basically Reiki initiations, which one can only receive from a Reiki master, and not out of the pages of a book or on a website. Once you have found a prospective teacher, be sure to ask about the individual's credentials, and how long they have been working with Reiki. Among Reiki practitioners, there are basically two camps: traditional, and non-traditional, and the definitions vary significantly, depending on who you ask. Some feel that anyone who has strayed from the original teachings set forth by Dr. Usui, founder of the Usui system, is considered non-traditional. A religion—if you study Reiki, you will not be asked to worship a particular deity, nor will you be asked to give up your present religion. Reiki can work in tandem with your spirituality, but does not replace it. A substitute for medical care from a physician—if someone has a medical condition that requires treatment, they need to see a doctor. A Reiki practitioner can help with pain management and emotional healing, but should never make a diagnosis. Massage therapy—someone looking for therapeutic massage should see a licensed massage therapist. The International Center for Reiki Healing says, "While Reiki is spiritual in nature, it is not a religion. It has no dogma, and there is nothing you must believe in order to learn and use Reiki. In fact, Reiki is not dependent on belief at all and will work whether you believe in it or not. Because Reiki comes from God, many people find that using Reiki puts them more in touch with the experience of their religion rather than having only an intellectual concept of it." 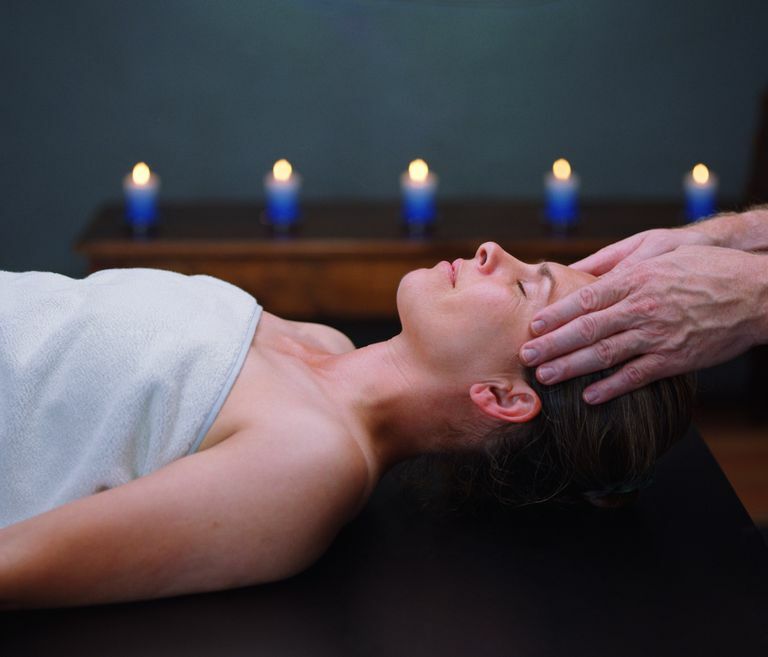 If you've scheduled a Reiki session, here's what you can expect: a typical Reiki practitioner will have you lay on a table so that you can be comfortable. You do not have to remove your clothes for Reiki to be effective. Often, there will be soft music playing, and the lights will be dimmed, so that you can relax. Your Reiki practitioner will use a very light, non-invasive touch to work with your energy. You may fall asleep during your session, experience changes in temperature, or even feel an intense surge of emotions; some people burst into tears during Reiki. All of these are normal experiences, so don't be alarmed if they happen. When your session is concluded, you will most likely feel refreshed, and have a renewed sense of clarity. Be sure to stay hydrated before and after your session. Feeling Magical? Decorate Your Home With Pagan Flair! Have You Lived a Past Life?